Llamasoft is the company of game developer Jeff Minter. On the web page you can find all Jeff's 8-bit games for the Commodore VIC-20, C16 and the C64. 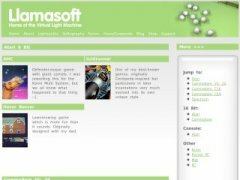 You can also read about the history of Llamasoft or goto the YakYak forum.